In the run up to Christmas, Elyssa D. a good friend (and customer too! ), said she had to share something about one of our products with us. Naturally, we were all ears. Elyssa said over the last little while a number of her friends and colleagues had started asking her if she'd done something different with her hair. Cut it? No. Coloured it? No. After several more days of confusing compliments, she figured it out. 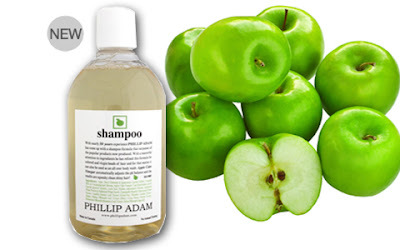 She'd come to our eco shopping night in November and after talking with Phillip Adam, the creator of our Apple Cider Vinegar Shampoo, she decided to give it a try. After about two weeks of using this new shampoo - made with only natural-based ingredients - the compliments started flowing. Phillip had told her it would take about that long for the shampoo to start really having an effect and strip her hair of any nasty build up, leaving it shiny and silky smooth. She was amazed and absolutely sold on the benefits of apple cider vinegar. Thanks for sharing Elyssa! For more, click here. I've been taking Apple Cider Vinegar tablets for almost a year now and I can't believe the difference it makes. I have always been lactose intolerant and the ACV has completely taken away the effects of dairy on my poor tummy! I can actually eat ice cream and not want to shoot myself for it.